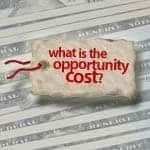 Recognizing the opportunity cost of our decisions, and analyzing them closely is key in choosing the best financial path. Here’s how you can count the cost. 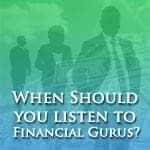 Should You Listen To Financial Gurus? 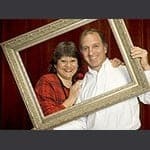 Financial gurus are telling you how to get out of debt, and what to do with your money and investments. The question is, should you follow their advice? The cost of college is rising fast. 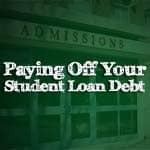 If you’ve taken out student loans to help pay for your education, how can you pay the debt as fast as possible? 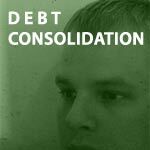 Should I Do A Debt Consolidation Loan? Important Things To Consider Before You Do. 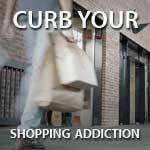 Debt Consolidation companies are everywhere offering to help reduce your payments and eliminate debt. Is debt consolidation ever a good idea, and when? Debtor’s prisons were outlawed in the 1800’s, but you can still end up in jail today because of your debt. 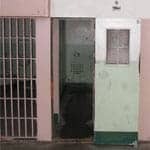 Here’s how to avoid ending up in the slammer. 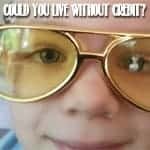 Is It Possible To Live Without Credit? Or Is It Too Much Of A Pain? Is it possible to live in our society without using credit, or is it next to impossible to live outside of that accepted credit scoring framework? 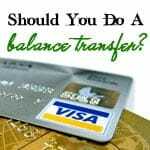 In many cases, a balance transfer can be a smart choice. However, a balance transfer isn’t always the right choice. Here’s how to know the difference. There are plenty of ways to be a stellar wedding guest without driving your own finances into the ditch. 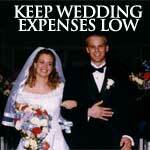 Here are several ways to keep the wedding frugal. Talking about personal finances with your loved ones can be a tough subject to broach. Here are some tips on how to approach a sensitive subject. 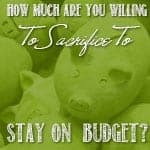 How Much Are You Willing To Sacrifice To Stay On Budget? Setting a family budget can be key to getting and staying out of debt. How much are you willing to sacrifice in order to get ahead? 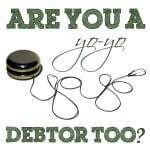 Yo-Yo debtors have a tendency to pile up debt, pay it off, and then build up debt again. How will you break the cycle? 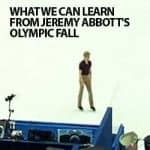 Millions of people watching men’s Olympic figure skating saw U.S. figure skater Jeremy Abbot fall during his routine. Here’s what we can learn from how he responded.